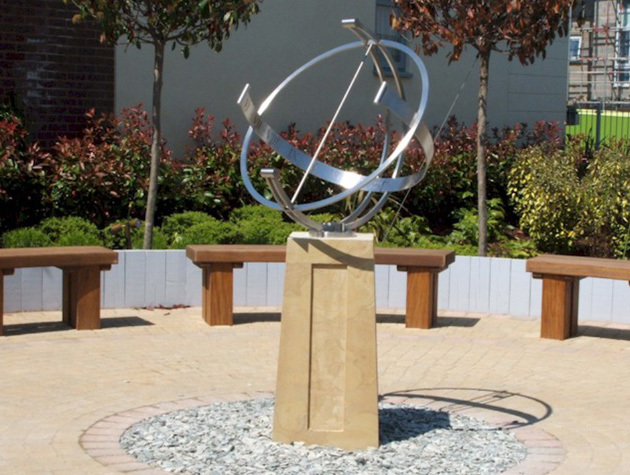 We have been commissioned by many schools, colleges and universities over the years, to design and install many types of armillary sundials. 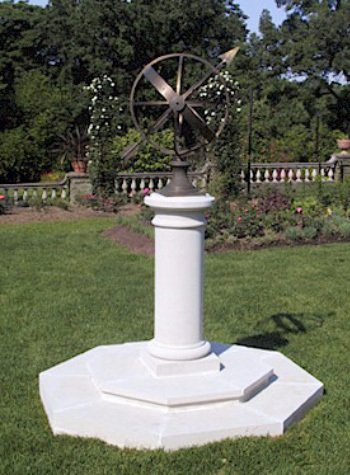 John Close Sundials were pleased to accept this commission for this plinth mounted sundial installation in their grounds in the USA. 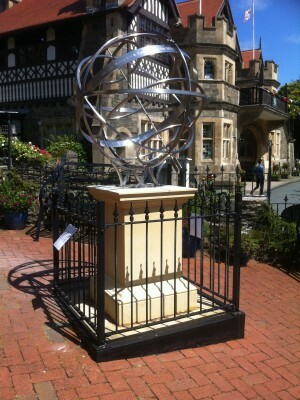 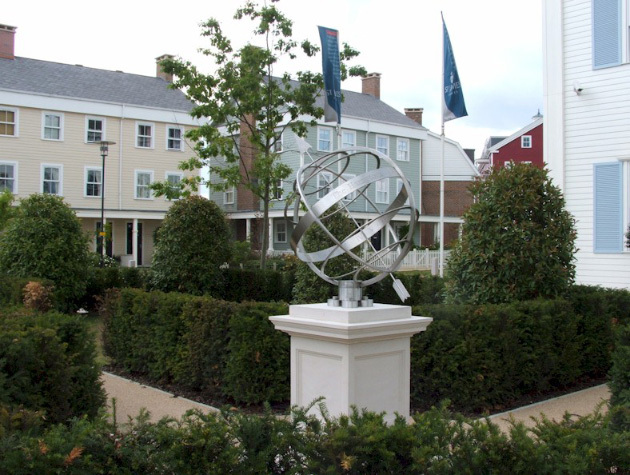 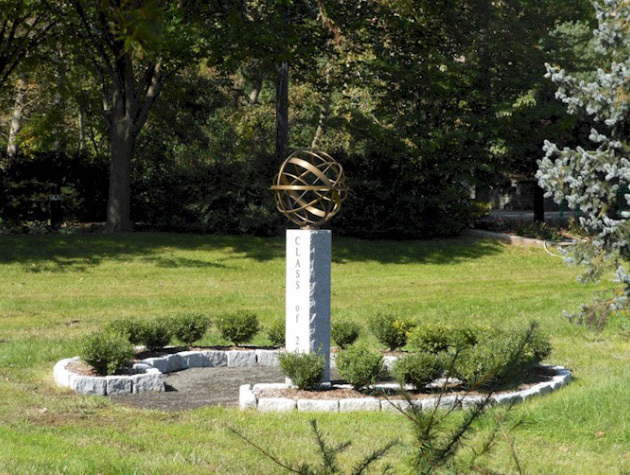 The sundial sculpture shown right is based on our armillary sphere and mounted on plinths. 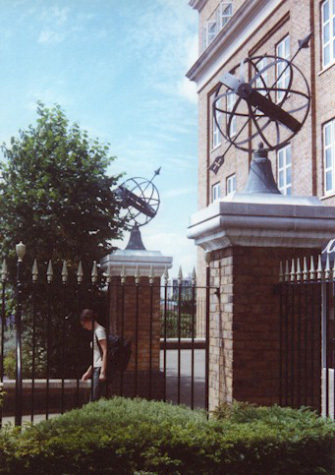 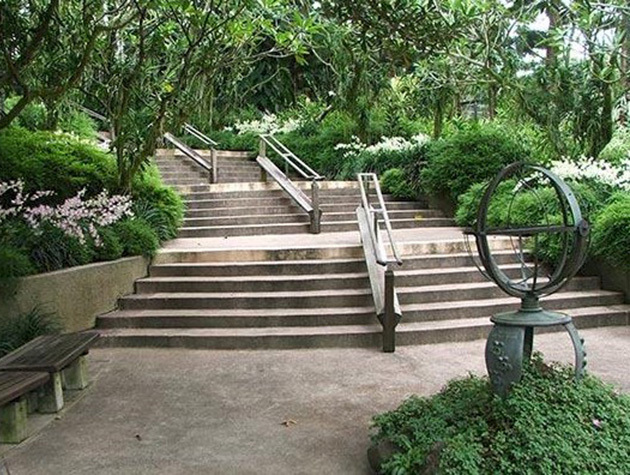 We made and installed the armillaries in 1996. Both were made in bronze and now have developed an attractive patination. 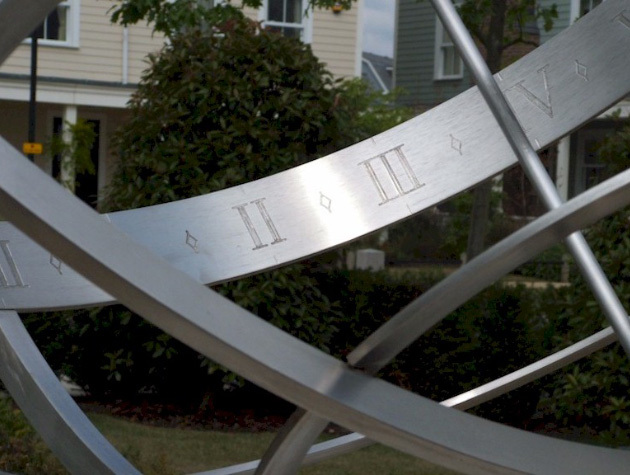 Sundial feature installed at the Singapore Botanical Gardens.We were pleased to accept this commission which we installed in the orchid garden. 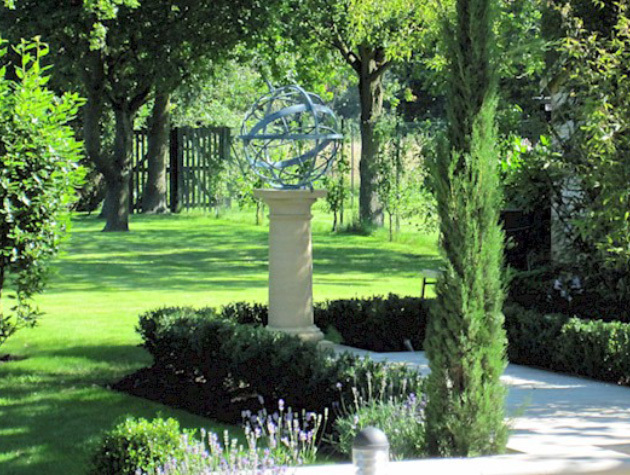 Sundials in stainless steel can be used in prestige developments like the one we installed here as an interesting sculptural feature in gardens and entrance areas. 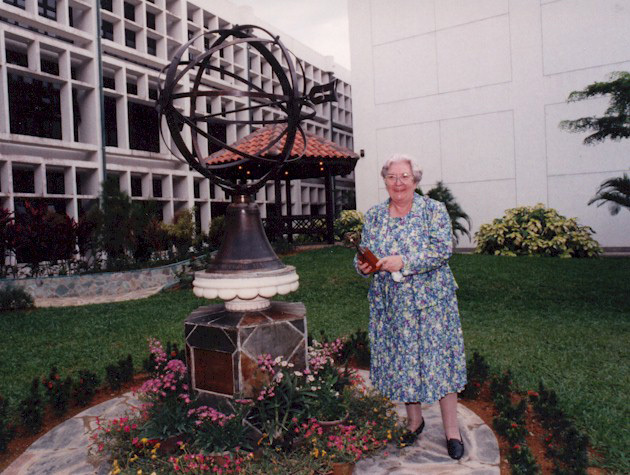 This sundial sphere was commissioned and presented to the Raffles Institute Singapore.The bell was specialy cast with the school motto running around the lip of the bell. 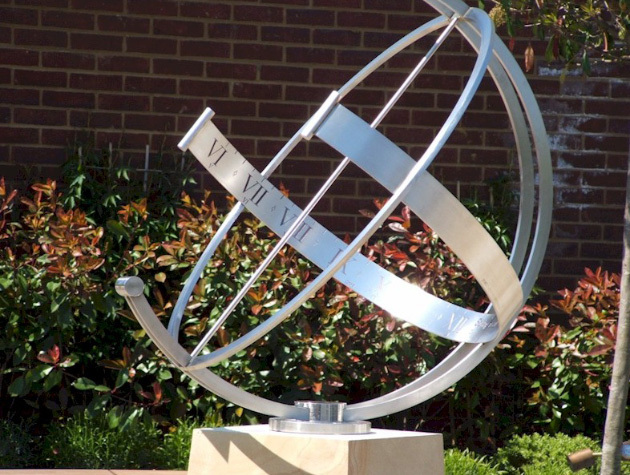 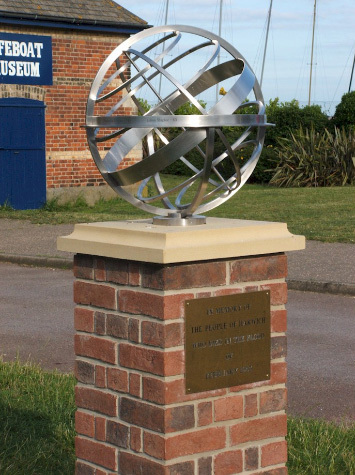 Large Hemispherical Stainless Steel Sundial. 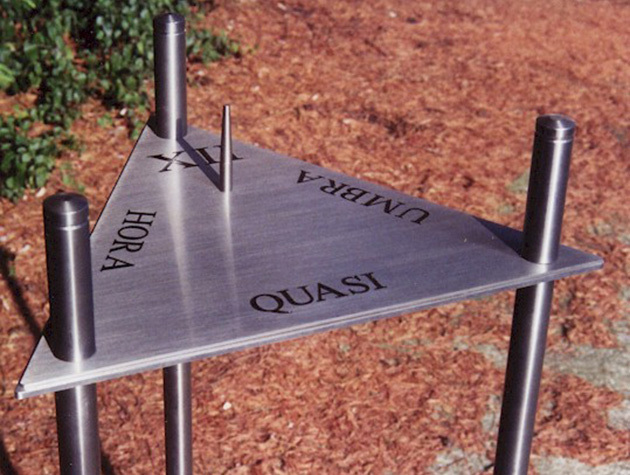 This stainless steel Noon Mark sundial sculpture shown right was comissioned by a private school.